You may have noticed I have been fairly quiet for the last week or so. The reason for this is I am sleep deprived. Thanks to BM having her third set of jabs and another cold, not to mention MM and his random late night/early morning wanderings and ramblings, I am short of sleep. As a result my brain can only function on the necessary day to day. When I say necessary, I mean the absolute basics of functioning. For example, I remember to pick up the children from school. However, leaving the boot wide open, before locking the car, then going to collect the children. Well that is extra man power that isn’t available for the grey matter without sleep. I have a long catalogue of sleep deprived disasters that range from leaving the front door wide open and going out to wrapping my car around a pillar in a car park after having my eyes tested. (I just didn’t see it!). The biggest irony I find as a parent is I am a better parent with sleep, yet the fact that I am a parent means I get no sleep! Sleep deprivation is not just tired. When I do get sleep these days I am still tired. It is an integral part of my being, like having arms or eyes. The situation is however that I have learned to cope with it and I live in hope that one day I will be a pensioner who is allowed to sleep until noon. Sleep deprivation however is a different level of tired. It is the kind of tired that makes you want to cry all of the time. The kind of tired that makes coping impossible. The capacity of the brain is reduced and you want to curl up in a ball and wait for the feelings of complete uselessness to pass. Sadly the monkeys keep going. They become like one of those toy monkeys with the cymbals that keep clashing together over and over, with Duracell batteries that feel as though they will never run out. When TM was born, he didn’t sleep…EVER! He would cry all the time. As if he would never stop. He was born with a tongue tie that meant he could not feed effectively. It took six weeks before breastfeeding support got involved and referred us for help. The doctors who saw us every week failed to pick it up as a problem. During those first few weeks TM cried, Mr LMR cried and I cried. All of the time. We retreated into this painful bubble where nothing made sense. Already struggling with a traumatic birth, it felt as though someone was playing a horrible trick on us. Especially when the answer had been so simple. A period of time, as yet undefined, that will pass. The day that TM had his tongue untied I fed him until he fell asleep for the first time. I still have the photograph of him lay on my living room floor, on his play mat wrapped in a blanket. I always look at that picture with a mixture of feelings. Relief, love and guilt. Guilt at his little worn out face, the result of weeks of fighting for nourishment. I often question whether we should have done things differently but then I stop myself and say “No”. The decisions were made then and now they cannot be changed. He is now happy, healthy and a good solid individual. Therefore, that picture now represents hope. It showed me that you can keep going in the hardest of times. As sure as the sun will come up and go down again, life will keep moving and the hard times will pass. That is how I view times of sleep deprivation now. A period of time, as yet undefined, that will pass. Sleep deprivation is a very affective form of torture you know? Sleep experiments have shown that it reduces the brains ability to cope and therefore easier to break. If you haven’t slept in weeks don’t feel like you are failing, what you are experiencing is totally normal. Getting through it is about how you manage it. Despite the problem of TM’s feeding being solved, he didn’t find a good sleep routine for a very long time. Then MM who began well, stopped sleeping around 9 months. Even after both found a good pattern, a virus or bed wetting or something, would break any periods of good sleep and return us to the ranks of the sleep deprived. At my worst moments I would sit in my kitchen and scream and shout like a mad woman. Mr LMR would slowly collect up the monkeys and leave the room, closing the door behind them. Taking shelter from the craziness somewhere else in the house, while I would either cry or continue shouting or throwing things. Nothing breakable of course. The pathetic feeling of throwing a teatowel as hard as you can, reminds you how pathetic you are being. Things could not go on like this. So we had to find a way to cope. The only way through was to break the every day tasks into smaller pieces. So tiny it is almost not worth mentioning. I have made “to do” lists to remind me to do the most basic of tasks. To put away butter and milk in the fridge. Unstack and restack the dishwasher, load the washing machine and switch it on. All I want to do is lay down and sleep. But the monkeys won’t let that happen, so snail pace it is. These are the times when we really need to look after ourselves. Drink plenty of water, take time out when you can (even five minutes can stop the rage from coming). This is when The Quiet Part of my Brain takes centre stage. These are the days we have to get outside if we can. This weekend I was exhausted. The weather was ok and we needed to get out before the big monkeys started fighting. BM wanted to sleep but couldn’t get there. I was feeling the frustration and the exhaustion in equal measures. Short of cash before Christmas, we went to the park. MM wanted to take the peddle bike. He has only had a few tentative goes at this but was determined to take it. I walked along with him holding his shoulder, or sometimes just left to carry it, as husband took BM and TM off ahead. We had a successful trip, in that there were only one or two minor disagreements and one walk off by TM. Why wouldn’t we agree to his having an ice cream from the cafe in December? The highlight however came at the end. As we headed home, MM found himself at the top of a hill sat on his bike, we set off together, me trotting along beside him as he peddled like mad. I took a chance and let go. “Don’t let go” he shouted and I calmly reassured him that he was doing it. I was still there, ready to catch him if he fell. I ran with him, gently taking hold every few minutes to control his speed. He did it! He rode his bike all by himself and it was the best feeling. In those moments, apart from wishing I was wearing a sports bra, I praised myself for getting out. For having that moment with him and for finding the energy to make it happen. Now, not every trip out will end like this, so I won’t be taking it for granted. There will always be good days and bad days. The trick is to pocket the good ones and scatter the rest to the wind. Keep in mind the good days, so that you step out of the door with hope that today will be a good one. If it isn’t, nothing is lost. Just be reassured by the fact that you were strong enough to go out in the first place. If need be just step outside your back door and do something small. Breath fresh air, jump in puddles in your own back yard. Break it down into tiny pieces to help make it happen. You know; step one, get dressed, step two, put on your shoes, step three, stand at the front door. Even if you only walk to the end of your road and back you made it out. Next time you will go further. Each small step is an achievement and never lose hope that the difficult times will pass and future steps will get easier. 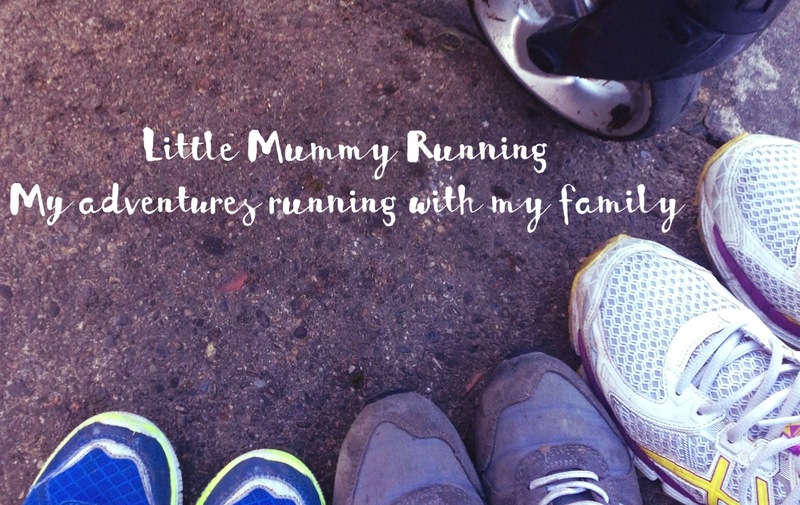 ← Why Little Mummy Running Loves Absolute Aloe.